Remember that famous line, “Dolce Far Niente”, from Eat, Pray Love? It means the sweetness of doing nothing. Italians love to live life. They have a great culture, better and healthier food than we do and great wine. They know how to relax and enjoy family, friends and life. Most of their cities have little crime (pick pockets). 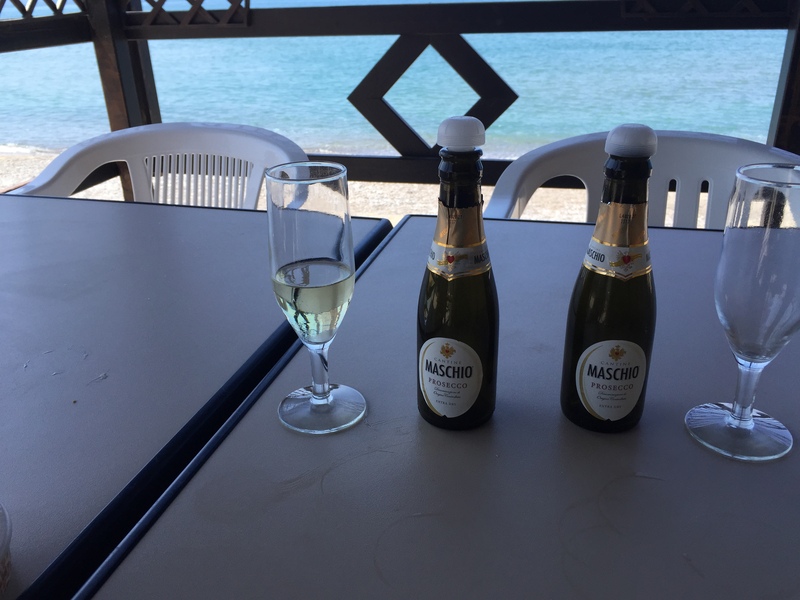 A BLOG, “The sweetness of Doing Nothing” explains what this is from the BLOGgers point of view. If we Americans want to truly understand this, we have to live it! When you go to Italy, don’t look to be waited on. Be a tourist but be a local as well. 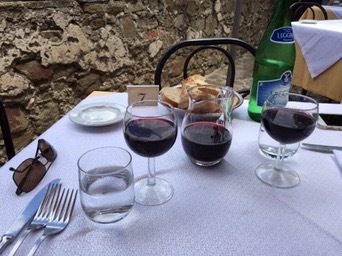 When having a glass of wine or something to eat, sit back and observe Italian life all around you. Do not be afraid to partake in it. Stop locals and try to talk with them. This will change your vacation in a very positive way. Have lunch at a bar or pizzeria. Enjoy a panini or a small pizza for lunch. Enjoy dinner in a trattoria with the locals. Stop during the day or for Happy Hour at a bar. Have your favorite beverage and some snacks. Stop for gelato often. Be a kid again. 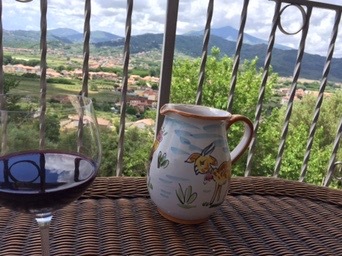 We wish all of our readers Dolce far niente! Gelato – Italian ice creme that tastes better than ours and has less fat. How do they do it. It is always served soft not hard and icy. 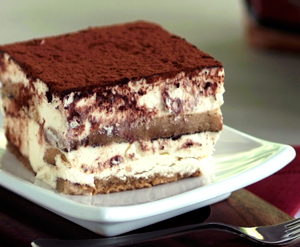 Tiramisu – A wonderful dolce made with mascarpone cheese (a sweet cheese), cocoa, espresso, wine and lady fingers. We have had it both soft like a cream and firmer like a very moist cake. See picture below. Cannoli – A Sicilian dolce made with a crisp pastry and ricotta cheese and chocolate. When these are made correctly they are divine. Sfogliatelle – This is one of our favorites. a crust to die for. These are made crispy and flaky like the best Parisian Croissants. 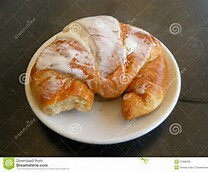 It has a light creme inside. 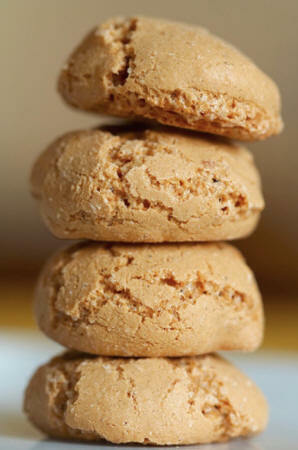 Amoretti – small Italian cookies made with Amaretto liquor. 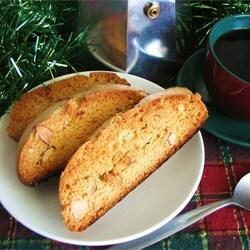 Biscotti – Crisp twice baked cookies that are normally dipped in coffee or wine. 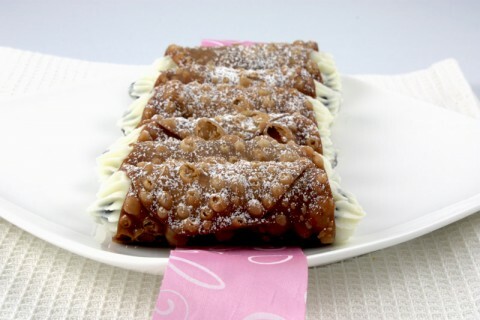 Pizzella – An Abruzzi dolce that is very popular in America at Christmas time. It is a waffle like desert that is crispy. There are so many more types of dolce. Garrubbo has a website that lists many of these delights. Each town has special dolce made locally. Try each one you visit. Pastries are made fresh in Italy and enjoyed fresh. Only fresh ingredients, fruits and nuts are used. 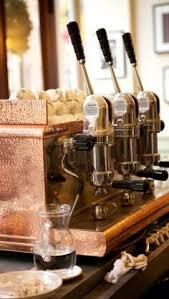 Breakfast in Italy is one of these delights and a Cafè. Enjoy!